Our Kennels have been built to exacting standards. They have cavity wall insulation, loft insulation and under-floor insulation. They are purpose built, heated and secure. Each kennel is individually heated. The building also has heating to the corridors, staff room and kitchen. All floors in the kennel area are quarry tiled to ensure ease of cleaning and hygienic conditions. The dividing walls between each kennel are solid, floor to ceiling, so that each dog can feel comfortable and secure. The sleeping areas have a bench which is raised 150mm above the floor with a heat lamp positioned above each bench. The outside runs are again quarry tiled and are part of the main kennel building ensuring they stay dry whatever the weather. 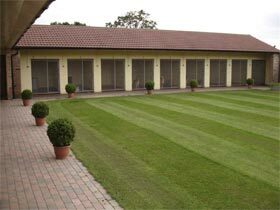 These runs look out onto a grassed, walled courtyard which in turn leads to our off lead exercise area. 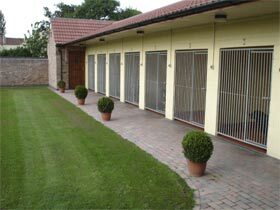 All our kennels are large enough to accommodate two dogs from the same family. 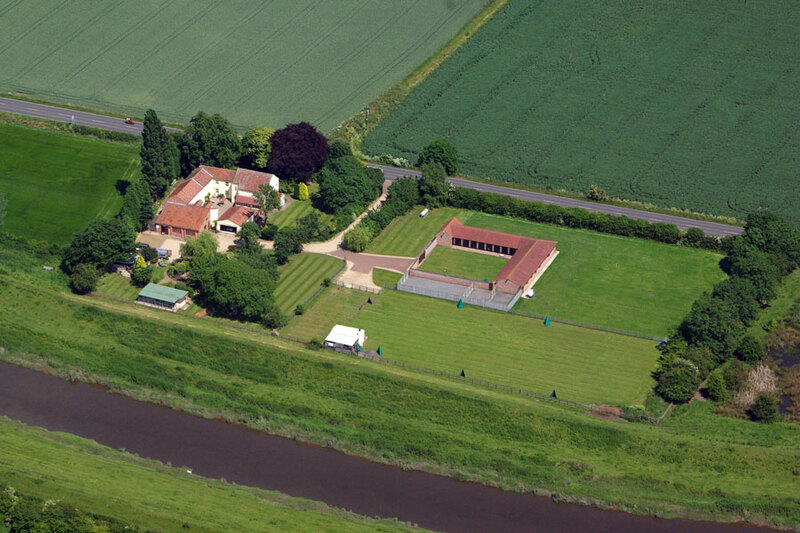 The kennels are secure and alarmed, with the proprietors or a member of staff on site twenty four hours a day. You are welcome to bring beds / blankets / toys for your dogs stay, please make sure bedding is easy to wash and dry.